When you go to a dance, you dance. When you go to a singing, you sing! Singing is good for the body, mind and soul. 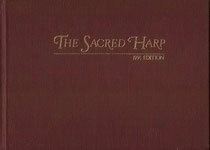 Join us in singing from the Sacred Harp and other shape-note tunebooks through the many monthly and annual singings near Boston. The go-to site for all things Sacred Harp is fasola.org. Prof. Warren Steel also maintains an excellent resources page.